ENVI (an acronym for "ENvironment for Visualizing Images") is a software application used to process and analyze geospatial imagery. It is commonly used by remote sensing professionals and image analysts. ENVI bundles together a number of scientific algorithms for image processing a lot of which are contained in automated, wizard-based approach that walks users through complex tasks. 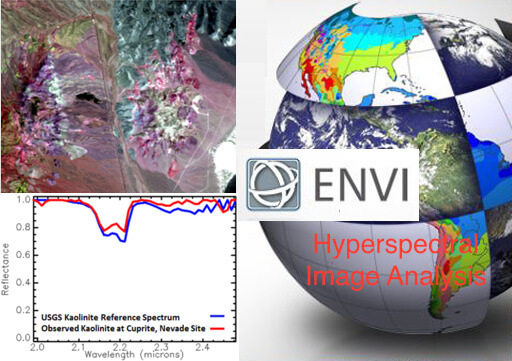 Learn how to process hyperspectral data with ENVI Just check out the contents of the course below. This step-by-step video tutorial starts from the basic hyperspectral image analysis, goes through the atmospheric corrections and ends with deep vegetation analytics.